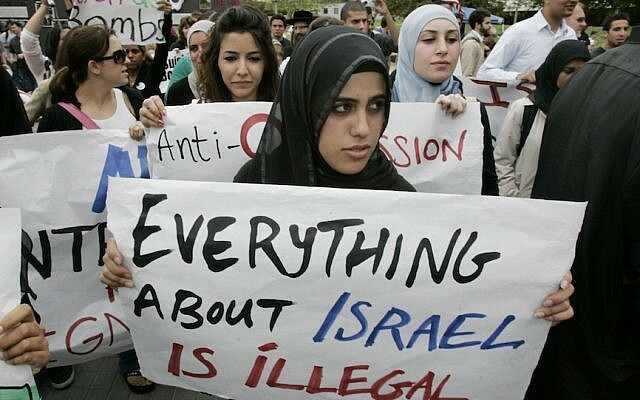 LITTLE ROCK, Arkansas (AP) — A federal judge on Wednesday let stand an Arkansas law requiring state contractors to pledge not to boycott Israel, ruling that such a boycott is not protected by the First Amendment. US District Judge Brian Miller dismissed the lawsuit the Arkansas Times had filed challenging the 2017 law. The newspaper had asked the judge to block the law, which requires contractors with the state to reduce their fees by 20 percent if they don’t sign the pledge. The Times’ lawsuit said the University of Arkansas Pulaski Technical College refused to contract for advertising with the newspaper unless the Arkansas Times signed the pledge. The paper isn’t engaged in a boycott against Israel. Miller wrote that refusing to purchase items isn’t protected speech. He noted that the Times wouldn’t be barred from other protected forms of speech, including writing or picketing against Israel policies. 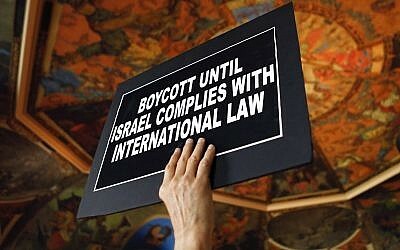 “It may even call upon others to boycott Israel, write in support of such boycotts, and engage in picketing and pamphleteering to that effect. This does not mean, however, that its decision to refuse to deal, or to refrain from purchasing certain goods, is protected by the First Amendment,” Miller wrote. Arkansas’ law is similar to restrictions enacted in other states that have been challenged. The measures are aimed at a movement protesting Israel’s policies toward Palestinians. A federal judge in September blocked Arizona from enforcing a similar measure. A federal judge also blocked Kansas from enforcing its anti-boycott measure, but lawmakers rewrote the measure so that it no longer applied to individuals and nonprofits and only applied to state contracts worth $100,000 or more. Arkansas’ law applies to contracts worth $1,000 or more. Attorney General Leslie Rutledge’s office, which had defended the law, argued the pledge didn’t force the newspaper to take a political position. “Attorney General Rutledge is pleased with Judge Miller’s ruling dismissing the Arkansas Times’ meritless lawsuit and upholding state law prohibiting discrimination against Israel, an important American ally,” Amanda Priest, a spokeswoman for Rutledge, said. The sponsor of Arkansas’ law said he’s working on a proposal similar to Kansas’ revision that would raise the minimum amount for contracts where the pledge would be enforced. “The reality is when we’re passing laws we want them to be fair and right and just and if we need to correct something to make it function and work better, that’s what we want to do,” Republican Sen. Bart Hester said.